KNOXVILLE—While tremendous progress has been made to eliminate malaria worldwide, about 3.2 billion people—nearly half the world's population—are at risk of the disease, according to the World Health Organization. New tools to help advance infectious disease forecasting are needed. 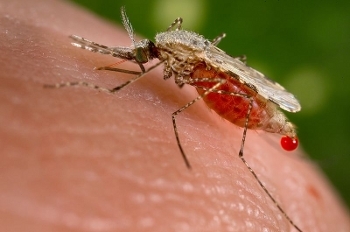 A study from the National Institute for Mathematical and Biological Synthesis develops new methods to detect the onset of critical transitions in infectious disease epidemics, such as malaria. "Billions of dollars are spent annually on various interventions to stop diseases like malaria, and the investments have made a difference. But, government and public health agencies need the will to continue making these investments after the initial reduction of cases has occurred. The question becomes at what point does the continued investment pay off?" said lead author and NIMBioS postdoctoral fellow Suzanne O'Regan. "Quantitative evaluation tools can go a long way in helping governments and philanthropic organizations choose the optimal level of investment in control and elimination activities after the number of cases slows down." The method developed in the study, which was published in the journal Theoretical Ecology, identifies the critical slowing-down period in human cases of the mosquito-borne parasite that causes malaria, suggesting that eradicating the disease could be anticipated even without a full of understanding of the underlying mechanisms that are causing the slow down. The researchers used a mathematical model to study the gradual implementation of four common tactics used to control and eliminate malaria: using bed nets to reduce the number of mosquito bites, spraying indoor insecticides to shorten mosquito lifespans, administering drugs that reduce the human infectious period, and eliminating mosquito habitat. The analysis focuses on malaria, but the findings are relevant to other mosquito-borne infections, such as yellow fever, also endemic in some parts of the world. "Our work suggests that online algorithms for detecting changes in leading indicators may be achievable and could eventually be developed, possibly aiding sustainment of the gains made by elimination programs," O'Regan said.